Your Shar-Pei girl needs a dressy accessory for walking to emphasize its beauty and femininity. 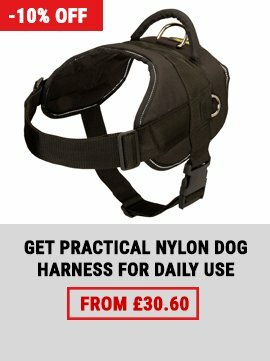 What about a collar out of the ordinary design? Your lady dog will become an object of admiration with this stunning pink leather collar! Three rows of various decorations on selected leather will make the pet look her best. 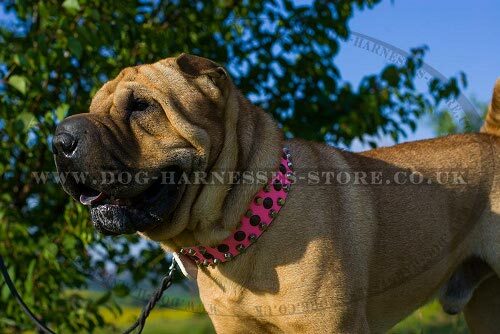 Beautify your female Shar-Pei with this fancy collar! 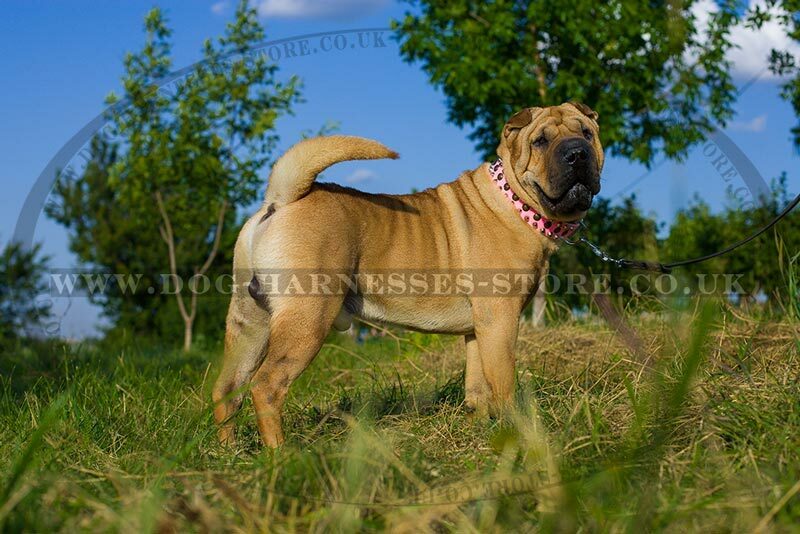 This collar for Shar-Pei girl is decorated with nickel-plated cones in 2 rows and a row of brass studs. Such a mix of decorations is unique and shows to advantage on bright pink leather strap. Every adornment is fixed with rivet and won't fall away. The collar is very durable and safe for dog's skin and coat. 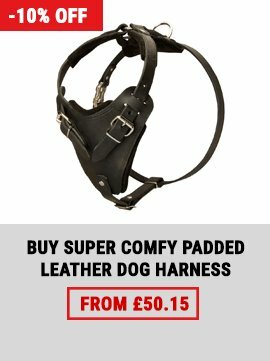 Your Shar-Pei won't feel discomfort and won't have rubbing even when she stays with the collar on for hours. A traditional buckle is used for the collar fastening. It is reliable and easy in use. A leash is attached to a D-ring that is wide and welded. 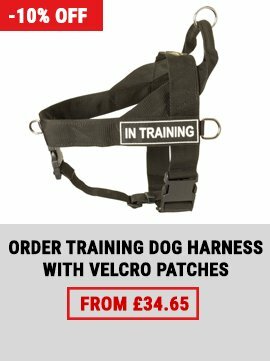 We make our collars practical and fashionable so that you could walk your dog with comfort and pleasure! This collar for Shar-Pei dog is also available in white leather.